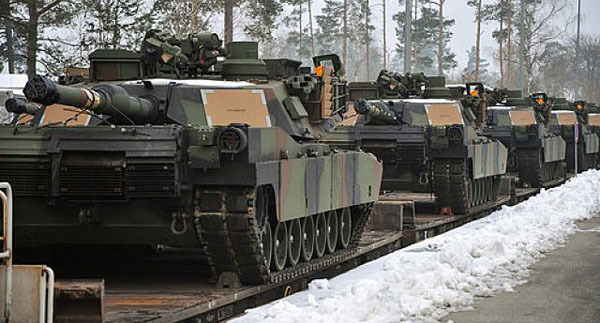 Meanwhile, as part of the latest conventional arms race, on Friday hundreds of U.S. tanks, trucks and other military equipment arrived by ship in Germany to be transported by rail and road to eastern Europe as part of a NATO buildup that has drawn Russia's ire. According to Reuters, two shiploads arrived in the northern port of Bremerhaven and a third was due in a few days, bringing the fleets of tracked and wheeled vehicles for use by around 4,000 U.S. troops being deployed for exercises in NATO states near Russia. U.S. and Polish forces will participate in a large "massing" exercise in Poland at the end of January as part of a series of measures aimed at reassuring U.S. allies in Europe after Russia's 2014 annexation of the Crimea region of Ukraine. Beginning in February, U.S. military units will spread out across Poland, the Baltic states, Bulgaria, Romania and Germany for training, exercises and maintenance. He also admitted that "this is just showing the strength and cohesion of the alliance and the U.S. commitment to maintain the peace on the continent." 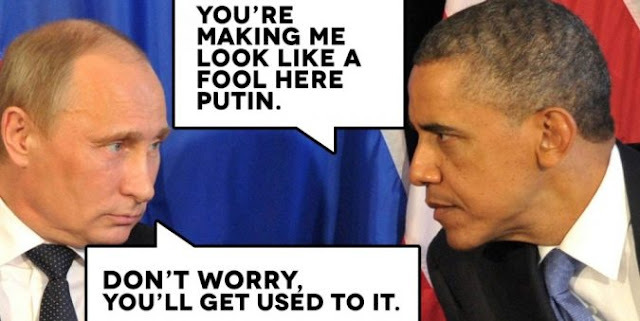 It is also a provocation specifically designed to provoke Putin into further escalation, something which Obama also did last week with the expuslion of 35 Russian diplomats. In addition to U.S. troops going to Poland, NATO members Germany, Canada and Britain are also sending battalions of up to 1,000 troops each to the former Soviet republics of Estonia, Latvia and Lithuania. They say the four battalions, backed by additional U.S. forces on rotation, are justified by Moscow's annexation of Crimea and support for separatists in eastern Ukraine. Those actions alarmed the Baltic states, which worry they could be the next targets of Russian pressure. Amid this dangerous escalation, voices of reason were few and far between. One of them belonged to Germany's Left party, which has called for closer ties with Russia, said Berlin had a historic obligation to work for peace and disarmament, and it would protest against the deployment. "Tanks never create peace anywhere," said Christian Goerke, who heads the party in Brandenburg state. "Quite the contrary, a troop deployment of such a scale is part of always increasing buildup and provocation." Unfortunately both the US Military-Industrial complex, and the US government, stubbornly pretend not to recognize this simple logic. What the hell is Obama up to only days before Trump enters the White House?